Comments: Abigail Beals (Nee: Field) | Canandaigua NY United States | 1851-1900 | Comments: This portrait of Abigail Field Beals appears in the following book: "Village Life in America, 1852-1872," by Caroline Cowles Richards Clarke, 1913. See that title for more information. Also posted on Deadfred is a portrait of Thomas Beals, her husband. Abigail was born in Madison, Conn., 7 April 1784. Her brothers were Rev, David Dudley Field and Rev. Timothy Field. She came to Canandaigua with her brother Timothy in 1800. In 1805 she married Thomas Beals. They had 11 children, of whom only 4 survived. Her granddaughters Caroline and Anna lived with them. 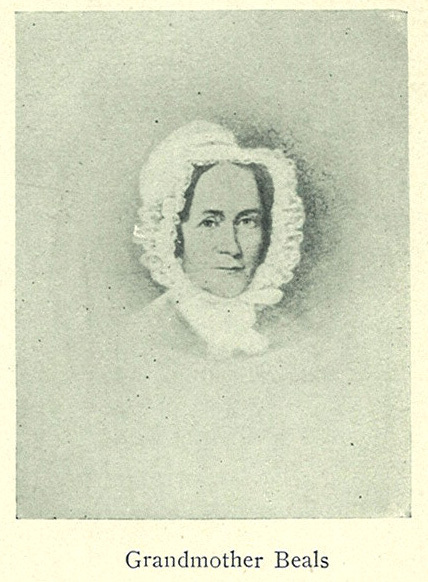 Her husband Thomas died 30 May 1864. She died in Canandaigua, New York on August 8, 1872. An obit for her appears in the New York Evangelist of Aug 15, 1872.